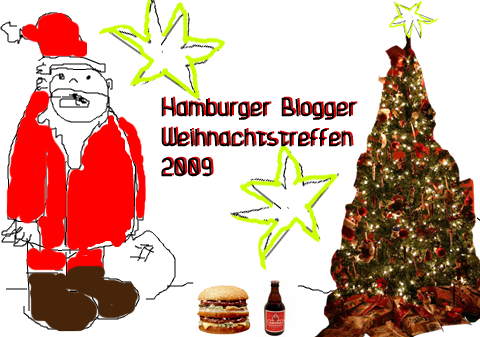 Do bloggers know it’s Christmas? Yeah, do you remember Band Aid? A vast number of music stars come together to produce something bigger than…anything?! So, Mr. Elektrospanier, Mr. UARRR and me, we had the idea that we could do the same but not with music. With fun! Christmas time is the time of sharing and love and all that nosense. We had the idea to gather and drink some beer. Basically the same, but our idea was to bring bloggers, twitterers, and normal people together. Like 1984 when cool people and stars like James Taylor (Leadsinger of Kool and the Gang), Paul Weller, David Bowie and Freddy Mercury got together with crappy people like Bono, Tony Hadley (crappy singer of the crappy band Spandau Ballet), and some other wannabe-stars. In this comparison we (the bloggers and twitterers) are the cool people! And maybe we can convince you to be cool as well!?!? It will start at 20.30 Hamburg time. 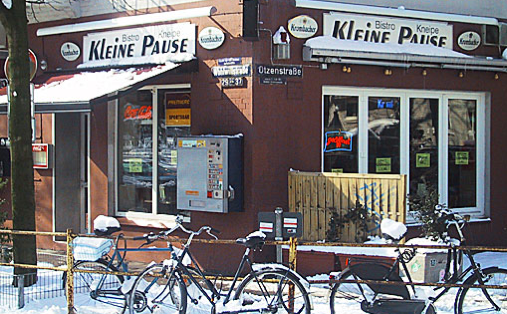 At the famous “kleine Pause“, Wohlwillstrasse 37, where we want to have a romantic Xmas-dinner with you. After some bar-hopping, we will possably end in the “Golden Pudel Club“, where the famous Hamburg DJ Stanley Ipkis will spin the records (or CDs). So, basically everybody can attend, the only restriction is: you should be open for fun! Somebody who can’t deal with humor is asked to stay at home. And since it’s a Christmas “Party” and the spirit of Christmas are presents, we came up with an idea. We don’t make something like Secret Santa (in German: wichteln), BUT everybody is asked to buy a beer for at least one other person. So everybody will get a present that night, nice! So please write a comment, send a tweet or call for attention some other way, if you want to attend! And if you want to join us later, or spontanously, take a look at the Twitterwall, in order to see where we are or how much fun we have! The Hashtag will be: #rrr09. Why #rrr09 because it’s short for Rudolph, the Rednose Reindeer! The picture above was painted collaboratively in Google Wave and of course we did some photoshoppig. Jeah! Ihr könnt auch gern den Header klauen und selbst dafür sorgen, dass ihr nicht die einizgen weiblichen Gäste seid! und auch der caipi zum freitaglichen spottpreis ist nach unserem geschmack… he he. Blog? Habbich auch! Dabei, freu mich!